Close to our hearts here at Billings is the act of retiring United States flags the dignified way while honoring a veteran. Therefore, may we ask? 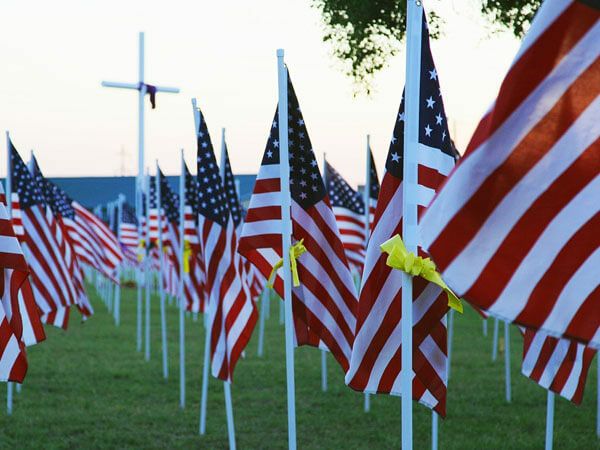 Is it time to dispose of your tattered flags and replace them with new ones? If you bring in torn or faded flags, we will see that every veteran that chooses cremation will be cremated with an American flag. You’ll agree - it is a most fitting tribute to veterans and a patriot way to “retire” aged flags. We welcome you to drop off your flag(s) Monday through Friday between 8 am and 4 pm and hope you find this a convenience.